You don't need batteries to match renewable supply with corporate demand. The most significant shift in U.S. solar demand in the past five years came when a few of the very largest corporate buyers decided renewable energy credits weren’t enough. A growing desire to get more specific and more “additional” with those claims was paired with a desire to shift away from above-market RECs to the stable, often below-market pricing of large-scale renewable RECs+ energy. 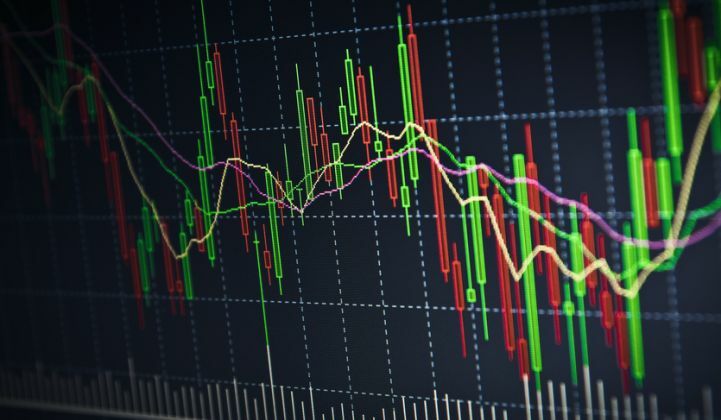 Whether through contracts for differences (CFDs), virtual PPAs, or green tariffs, this is a state of the art that is still evolving and that has already shown a very significant volume of transactions. But people are intellectually restless, and don’t want to just issue another “me too” PJM /ERCOT CFD RFP FTW. Google is the most explicit: “we’ll also broaden our purchases to a variety of energy sources that can enable renewable power, every hour of every day.” But there are certainly others beginning to think the same way. Our customers are bringing in the scale at which they match their generation – from the year, to at least the hour. First, none of these CFD contracts are above market rates (or, at least, their buyers didn’t mean for them to be). The first movers on this application are going to be multi-gigawatt loads with a very high degree of cost-consciousness. In fact, to some degree, these contracts are a reaction against the previously common premium-priced REC products. The reality is that near-term cycled cost of a load-shifting grid-scale battery is well north of $0.05 per kilowatt-hour, and that’s simply more than it is worth to the customer in this application. Batteries will be fine. They’ll exponentially grow and thrive in a number of promising grid-scale applications for years, but they’re not the answer for this specific problem between 2018 and 2020. We can either wait for them, or we can drive other clean and renewable load-following solutions in the interim. I suspect much of the answer lies in teaming up with some older, less high-profile tech. This needn’t be pumped hydro mega storage either. Modest run-of-river hydro can be enormously helpful. Earlier this year, Sol Systems was asked to model a solution for the regional load of a customer with a load shape typical of a large multi-state retailer. We teamed up with local hydroelectric asset experts Cube Hydro and found the pairing of one solar plant with one run-of-river hydro plant was very simple and remarkably — though not completely — effective in matching the customer’s load. An example of our analysis is below. 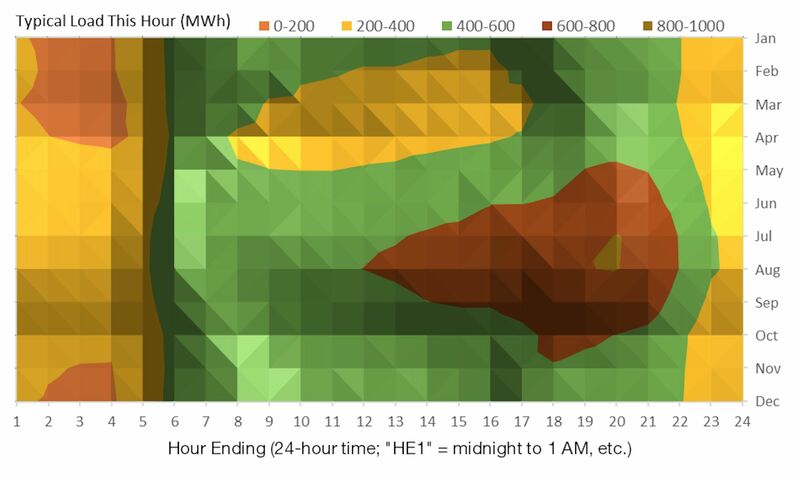 These are top-down views of a “surface” or “mountain” chart of this customer’s load (X-axis = a 24-hour day; Y-axis = month of the year). In this analysis, the customer’s load is coming “out” of the graph as though it were a mountain range. (That unit is MW [MWh / h] — remember this is a multi-state operation with a large number of locations, but also these are summed over a month. All the load of every 6 p.m. hour in a typical August appears in that part of the graph.) Orange “plains” are times of almost no load. Brown “mountaintops” are periods of maximum load. Turned 90 degrees on their side and sliced, these mountains would be duck curves, but let’s not mix metaphors. The first graph is the customer’s load without renewables. This is what the load would look like for a typical retail or office type space in big parts of the United States. 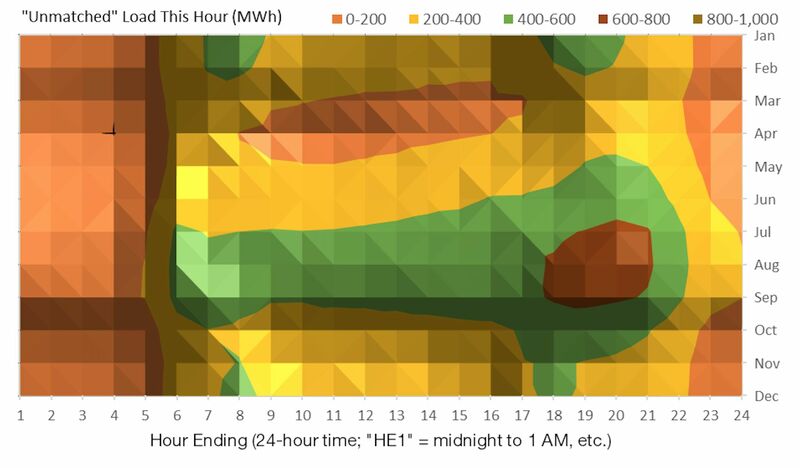 The big flat “plains” from midnight to 5:00 a.m. are periods of near-zero energy use. The big “mountain” in the center right, reaching up as high as 1,000 MWh, is a late evening peak. It’s summer; the air conditioning is still running and everyone’s shown up after work to shop. In the second surface chart, we imagined that we had given the customer a contract from a 20-megawatt tracking solar array in the PJM region. Every megawatt-hour the solar array generated, we subtracted”from the previous graph, grading down the mountain. If we had perfectly matched customer load, this would be a flat orange plain. As you can see, our daytime peaking solar array has knocked out the center of this load — but far from all of it. The peak of the peak is lower, the slopes are certainly gentler, but a long ridge of July to October daytime demand remains. So let’s turn to another resource. In the final picture, we do the same exercise, but together with the solar array, we apply the output of a specific run-of-river hydroelectric dam. By dispatching the dam to remain within its operating parameters (environmental requirements, available water, etc. ), we end up using 90 percent of its output, without any excess. We’ve nearly achieved that flat orange plain. The remaining unmatched load is near zero except for a 6 p.m.-10 p.m. spike in the summer, and even that is much lower than it was when we started. In this model, we haven’t gotten to the promised 12x24 load-following renewables, but we have gotten further than anyone in the marketplace to date, and we’ve done it with a significantly tough load shape to start. Yet we got there with two PPAs, each modestly sized, one plant to one customer of the renewable flavor sought by corporates today. No aggregation. No hedge contracts. No complex web of 10 PPAs. No need to partner with six other customers. Just one part sun and one part water. For big around-the-clock loads like data centers or industrial loads, it would have an even easier time; they present big flat mesa-shaped load surfaces instead of the ridge and hill. Most importantly, the only resources used were below-market prices. Unfortunately, the hydro dam in question was not “new” — another frequent customer requirement — but it seems increasingly likely that run-of-river may be making a comeback for similar situations. Achieving solutions like this will involve some commercial considerations we’re not used to in the solar industry. The hydro partner we worked with on this analysis was tepid about being locked into a long-term contract rather than just dispatching against spikes in the merchant power markets. It was a fascinating point of view, quite foreign to us solar types, who are always in the race to find contracted revenue sufficient to drive project finance. That said, there’s plenty of room for the startup or supplier that creates and brands this load-following product. Here: I already decorated the waiting room. Of course, it’s wasteful to approach any supply-demand management problem from just the supply side. 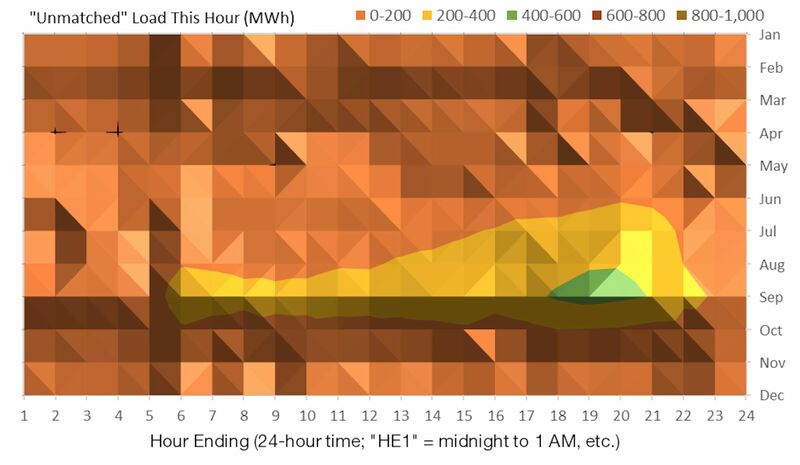 Customers who want to do 24/7 load matching — at least for the medium term — are going to have to meet renewables halfway. Present-day demand-side management (DSM) tools don’t meet the need. The tools and practices in that space were designed to meet a different goal: to spec the supply side to something other than a few hot days of the year. They generally rely on the bulk disabling of load centers. If customers are looking to finely match their renewable supply to their load, using present-day DSM tools is a bit like trying to drive a winding mountain road in a car with only an emergency brake. Many of the manufacturing loads out there can’t be subjected to this treatment — I could be wrong, but I don’t think there’s any “modulating” a paper factory. But I suspect this is not the case for the data center clientele. To be sure, some — probably most – of what they do is time-sensitive. Surely Google’s DeepMind could work a SCADA feed from its contracted solar array and inject a real-time carbon intensity or electricity price signal into its decision-making. If it’s sunset on a low-wind day, maybe it’s time to go dark on some optional functions. Meanwhile, if the Forrest City array is really cranking, and there are renewables electrons to spare, they may as well be producing energy-intensive HR Giger-Salvador Dali mashups. There’s even a place for combustion technology. About 10 percent of the United States’ entire generating capacity is already in the form of diesel gensets. Making these zero-emissions is impossible, but making them near-zero-carbon is a matter of fuel choice. 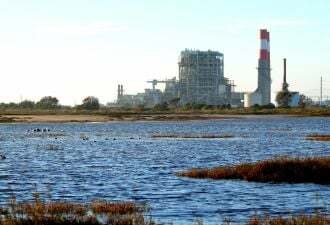 We’ve found several situations where a cheap-to-build, expensive-to-operate renewable combustion generator — like a biodiesel-powered genset with an hours-limited emissions permit — could be just the thing. Further, large quantities of just such generators are in the hands of data center operators, who are among the most aggressive and forward-thinking renewables buyers. 24/7 load-following renewables is not a 2024 science project, and it doesn’t need revolutionary new tech or contract structures. A sufficiently large and aggressive corporate buyer could pull it off with two years of hard work today, if they were willing to look outside the lab. Like every other customer energy solution, it requires reassuring the financier, bargaining with stakeholders, and writing some algorithms. But to get there, the solar industry may also have to get past some of our own preconceptions — and reach out to technologies that aren’t already at the same conference cocktail hour. Colin Murchie is senior director of customer energy solutions at Sol Systems.